Looking for a fun activity to do with your kids this summer? Well, starting this month, Highland Woodworking is offering downloadable project plans for children’s playthings designed by Kevin McGuire, author of the popular book “The All-New Woodworking For Kids“. Every month we will make a new project plan available, so check back for new ones each month! 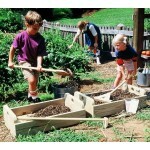 These projects are a great way to get your kids or grandkids involved in woodworking. 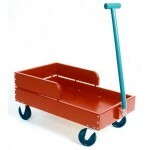 This month we are offering plans for a planter box and garden tools, a little red wagon and a fun rope walker toy. Take a look and get started! Great ideas! I love Kevin’s projects! Searching for some ideas for my grandsons and to investigate for my own site. Some of these are real interesting. 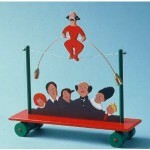 The Little Red Wagon and planter box may see me again. Thanks.